In 1985, Scarecrow Press published what is now justifiably considered a groundbreaking tome on both the long history and significance of music written expressly for science fiction, horror, and fantasy films. Long considered the illegitimate step child of more contemporary or mainstream motion pictures, genre films have acquired their own enormous cult following, nonetheless. Consequently, while music composed for these often low budget films has similarly been looked down upon by the motion picture establishment, their original music scores have often out shone and out performed their traditionally themed contemporaries. It has been proposed that science fiction and fantasy have provided the backdrop and inspiration for many of the most imaginative and creative minds of the 20th and 21st centuries. Creative artists such as Steven Spielberg, George Lucas, Ray Bradbury, H.G. Wells, George Pal, Ray Harryhausen, and Merian C. Cooper have reveled in the soaring prose conceived within this beloved genre, while many of the century's most acclaimed composers have found their greatest achievements and recognition writing music for fantastic films. Certainly, respected composers such as Sir Arthur Bliss, Miklos Rozsa, Bernard Herrmann, Franz Waxman, Dimitri Tiomkin, Jerry Goldsmith, Bronislau Kaper, Henry Mancini, and "America's Composer," John Williams, have each discovered reward, recognition, and popularity when delving into the treasure trove of challenge and artistry inspired by this often beleaguered realm of film making. Few writers have attempted to define or explore the marvelous mystique of scoring for fantastic films. At the forefront of this modest community has been Randall Larson, a passionate champion of film composers and their artistry for some forty years. Film and theater critics have endured a long, unhealthy tradition of unfairly and, often, maliciously criticizing films outside the respectable main stream of motion picture production. Composers writing music for this so-called, sub-genre have rarely been accorded honor or reward by either their critics or peers. Entertainment Tonight's Leonard Maltin, to his enduring credit, has represented the "everyman" in his many years of motion picture journalism. If there is a comparable writer specializing in the often maligned field of music for motion pictures, it would almost have to be Randall Larson, a humble "everyman" whose often remarkable journalism and prose regarding music for the movies has distinguished itself over these many years as eloquent, poetic, and profound. While Carlos Clarens' AN ILUSTRATED HISTORY OF THE HORROR FILM (Putnam, 1967) set the standard for all genre film books that followed it, Randall Larson's original 1985 book MUSIQUE FANTASTIQUE... A SURVEY OF THE FILM MUSIC IN THE FANTASTIC CINEMA (Scarecrow Press) became its musical counterpart. Larson's eloquence and integrity contributed mightily to the singular importance and definition of film music criticism, and remains the deserved standard by which many of today's film music observers chart their paths. Additionally, his later effort, MUSIC FROM THE HOUSE OF HAMMER MUSIC IN THE HAMMER HORROR FILMS, 1950-1980 (Scarecrow Press, 1996) is an important companion piece to his earlier volume, chronicling the genius and artistry of such British composers as the legendary James Bernard who scored many of the most distinguished, nearly Shakespearean DRACULA, and FRANKENSTEIN translations in his distinctively singular gothic style. Now, the author has begun a highly ambitious, massive restoration and expansion of his original work with an impressive, spectacular four volume set. MUSIQUE FANTASTIQUE 100 YEARS OF FANTASY, SCIENCE FICTION & HORROR FILM MUSIC... A HISTORICAL APPRECIATION & OVERVIEW published by Creatures Features in Sierra Madre, California is the most highly anticipated event of the current publishing season, and is a must have for any aficionado or serious student of the art of motion picture scoring. With an enthusiastic introduction by composer Christopher Young, a gifted genre musician in his own right, this first volume of Larson's exhaustive and comprehensive library set is a remarkable, painstaking achievement worthy of any serious film student's time and energy. Larson has remained a tireless supporter and enthusiastic proponent of motion picture music for multiple decades, while his thoughtful commentary on both the music and its practitioners has set a cultural standard envied by his peers. In this latest volume, Larson attempts to explain both the art and history of a much misunderstood, often maligned musical genre in painstaking detail, and reverence for his subject. In volume one of his four volume set, Larson attempts to chronicle the evolution of a largely original American art form, beginning with music of the silent film era, and culminating with, perhaps, the most prolific decade in the long history of Fantastic Films, the period encompassing the 1950s. The post war years that began with George Pal's landmark science fiction epic DESTINATION MOON in 1950, thrillingly scored by Leith Stevens, ended appropriately enough with Pal's own production of H.G. 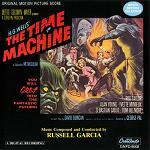 Wells' THE TIME MACHINE, scored by Russell Garcia in 1960. These cinematic bookends sandwiched some of the most legendary fantasy films ever produced in Hollywood. While the opening decade of the sound era produced such memorable motion picture scores and films as KING KONG (1933) by Max Steiner, THE BRIDE OF FRANKENSTEIN (1935) by Franz Waxman, THINGS TO COME (1936) by Sir Arthur Bliss, Frank Capra's LOST HORIZON (1937) by Dimitri Tiomkin, and THE HUNCHBACK OF NOTRE DAME (1939) by Alfred Newman, it was during the years following the second world war that America and England produced many of the most haunting, angst driven imagi-movies in film history. For children growing up in the 1950s, the decade became a treasure trove of daring, fanciful, speculative fiction translated visually by gifted directors and producers such as the aforementioned George Pal, Howard Hawks, Robert Wise, Don Siegel, Jack Arnold, and Jacques Tourneur. Special effects genius Ray Harryhausen reached the zenith of his spectacular career during the decade, while science fiction themed motion pictures lit up the box office with searing weekly receipts. Acclaimed composer Bernard Herrmann dominated the period with legendary scores for such films as THE DAY THE EARTH STOOD STILL, JOURNEY TO THE CENTER OF THE EARTH, THE 7TH VOYAGE OF SINBAD, and Alfred Hitchcock's classic horror shocker, PSYCHO closing out the illustrious decade in 1960. 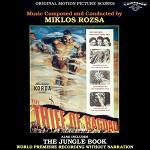 In the 1940s, Miklos Rozsa would contribute the magical scores for Alexander Korda's Arabian nights fantasy THE THIEF OF BAGDAD, as well as the same producer's JUNGLE BOOK. Still active and remarkably productive three decades later, Rozsa would compose the musical tapestry for Ray Harryhausen's GOLDEN VOYAGE OF SINBAD, and Nicholas Meyer's romantic fantasy gem TIME AFTER TIME. Due to the very nature of imaginative film making, believeability relies almost entirely on the ability of the creative artist to suspend disbelief, and create an alternative reality or universe based firmly upon a sincerely held vision of what might one day occur. For a science fiction, speculative, or fantasy world to exist from moment to moment in the mind of the viewer, the creative artist behind the camera, the written word, or the composer's musical canvas, must venture light years beyond the often mundane existence in which we live, and find inspiration in his or her creative, often fertile imagination. Consequently, it is more difficult from an artistic standpoint to fabricate either a visual or musical mural from a palette that does not yet exist. This is the test of a great composer... to musically illustrate, with validity and faith, the landscsape of a world created purely out of imagination and dreams, and to paint that musical tapestry with both conviction and beauty. In his chapter on composer Miklos Rozsa, Larson quotes the great orchestrator and musicologist Christopher Palmer in his vivid description of the composer's score for Sir Alexander Korda's 1940 Arabian Nights fantasy THE THIEF OF BAGDAD Palmer writes that "Rozsa's score is certainly full of magical music. The score is a plethora of melodic bounties, a conucopia of spectacular set pieces one after the other, all arrayed orchestrally in the brightest primary colors. A true childlike spirit of enchantment and wonder is enshrined in the soft luminosity of Rozsa's music." Rozsa, along with fellow composer Bernard Herrmann, believed firmly that there should be no difference in quality between music written for the concert hall and music written for the motion picture screen. Consequently, both composers had accumulated equal and proportionate degrees of succes with careers on either side of the artistic spectrum. Rozsa and Herrmann shared a belief that good music is just as serious whether it is composed for the screen or for the stage if the integrity of the work is secure. Neither artist ever looked down at their compositions for the cinema, nor approached their scoring with any less degree of reverence or respect than they would a concert commission, which is richly evident in their film scoring. For this reason, fellow composer Elmer Bernstein considered Rozsa and Herrmann "the greatest practitioners of the art of motion picture scoring in its long musical history." 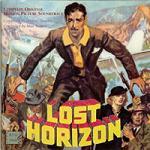 Of Dimitri Tiomkin's ethereal, majestic music for Frank Capra's utopian masterpiece LOST HORIZON, Larson writes "Thematically, Tiomkin's score is ambitiously interactive, incorporating his sweeping main theme, with or without chorus, as the film progresses." Quoting Jack Smith, he writes that "A punctuation of harps and strings gives way to violins and full chorus; chimes, orchestra, and chorus end the cue with with a sense of mystic passion. The funeral procession is a hymn of hope and faith, a powerful, deliberative orchestral narrative of Shangri-La's essence. Subtly, the processional is transformed into an orchestral demand for Conway's return. Violins and chorus reflect Conway's betrayal of his own quest for truth and redemption which is counterpointed in crushingly harsh brass commentary." Tiomkin's score for Capra's beloved fantasy remains a sweeping, ethereal monument to the power of inspirational music for the movies. Its haunting rhapsodic melodies conspire to transport the unwary listener far beyond the confines of subtle horizons lost and found to the far away call of The Valley Of The Blue Moon, and the beckoning Himalayan mountains hovering over the entrance to Shangri-La. 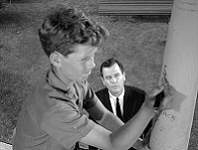 Easily the most enduring, haunting fantasy score ever written for a television program, Bernard Herrmann's brooding, ethereal musical depiction of a man lost in the purity of Childhood's End, was Walking Distance, written for the first season of Rod Serling's iconic sci-fi series THE TWILIGHT ZONE, airing on CBS Friday evening, October 30th, 1959. Bittersweet, eloquent, and profoundly exquisite, Herrmann's searingly beautiful music painted an impassioned cry for help from a man at the end of his spiritual and emotional rope, longing to see his parents again and to embrace once more the simplicity and innocense of childhood with all of its implicit goodness. Herrmann's delicate, tender, nearly mournful musical elegy wept in sorrow with Martin Sloan as he faced the emptiness of his years, yearning to return to the visionary dreams of his long forgotten youth. Herrmann's extraordinarily powerful and compassionate evocation of childhood echoes, haunting world weary maturity, becomes a rare rhapsodic reflection of the profound cinematic and musical influences born of societal suffering in an ever changing, cynical, and often unforgiving world. Its heartbreaking beauty transcends the tiny home screen, bringing Martin Sloan's rite of passage musically to life with profound dignity, and an overwhelming sensitivty to his feelings of personal grieving and loss. It is poignant testimony to the value and significance of music for the movies and, with this volume by Randall Larson, an important addition to a growing library of influential work on an all too often neglected art form. Thanks to Steve Vertlieb for his kind permission to reprint this review. It was first published by Roger Hall on the American Music Preservation website.